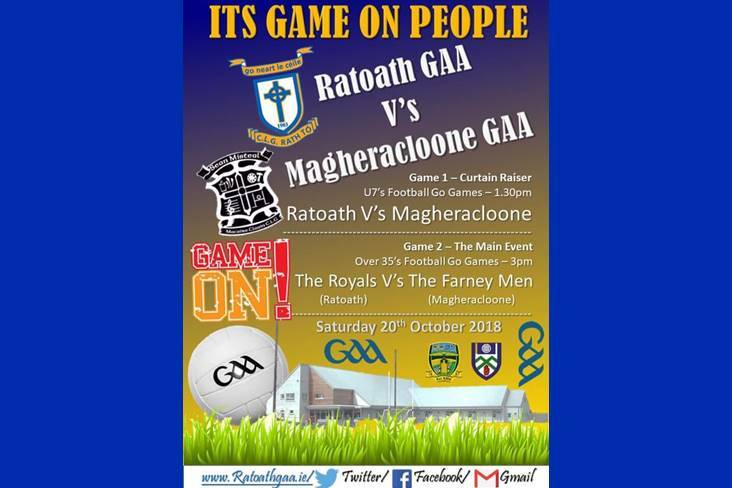 Ratoath and Magheracloone will meet in a unique double-header at Sean Eiffe Park this afternoon. When photographs emerged of the extensive damage caused to Magheracloone’s pitch in Co. Monaghan by a massive sinkhole last month, an U7 player with Ratoath in Co. Meath penned a lovely letter to his club asking that his team play their Magheracloone counterparts in a fundraising match. Both clubs clearly thought it was a brilliant idea as today will see Sean Eiffe Park in Ratoath play host to two games between the clubs involving their U7 and Over 35 teams, with the action getting underway at 1.30pm.